The Sperse CRM is a modern, intuitive and smart software to manage the entire sales and customer lifecycle. It includes integrated document management, team collaboration as well as task and calender synchronization. The platform connnects with multiple SaaS applications and can be customized to fit specific business requirements. Its flagship product is called Cash Flow Outlook, or CFO – a patent-pending cloud-based software for cash flow management and forecasting. CFO is built to monitor the daily changes and forecasting of your most critical business resource - the Cash! It gives you clear visibility of your cash flow with real-time accuracy by syncing directly with your bank accounts. As your daily bank balances change, CFO tracks the historical cash activity and automatically update your future rolling forecasts accordingly. With the connected historical and forecast view, you’ll gain the hindsight, foresight, and deeper insights into your business! 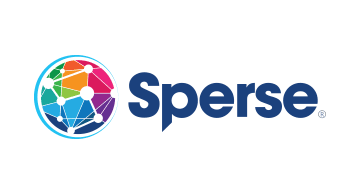 Sperse sells its software direct to business (B2B), direct to consumer (B2C), and licenses its platform through distribution partners like online services and hosting companies, financial services companies, investment companies, financial consultants and accountanting firms.